Our Food Pantry is open every Friday morning, rain or shine from 9:30-11am. Preparations for this special time of serving the community are constantly happening here. 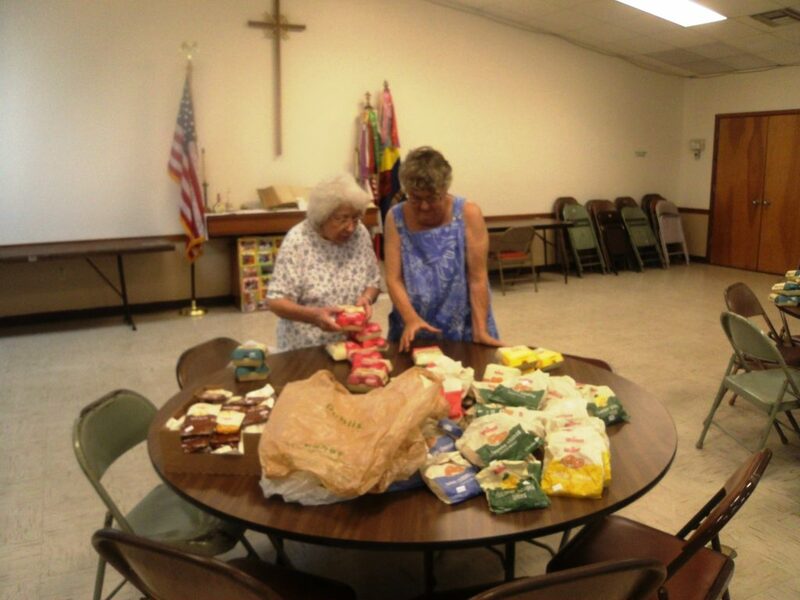 Parishioners bring in non-perishable food items on Sunday mornings. Cereal, canned meats like tuna and chicken, soups, beans, and peanut butter are always in high demand. 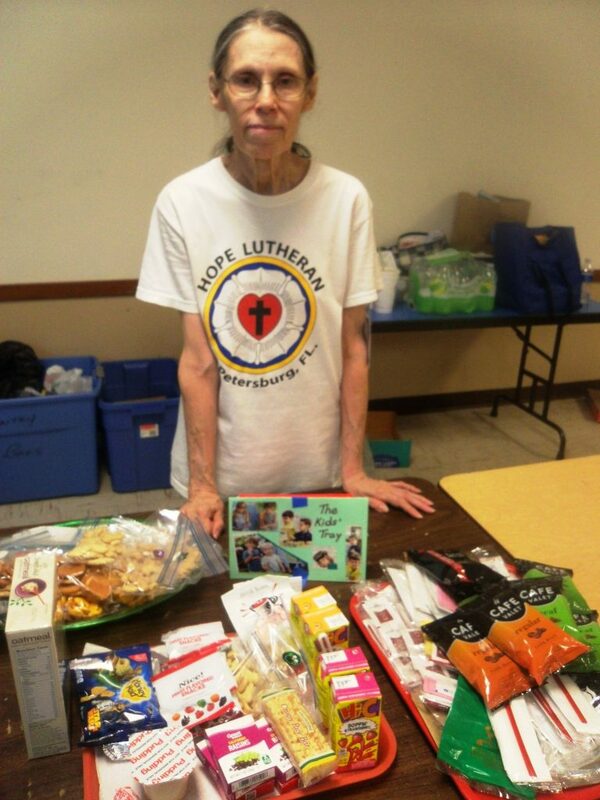 Lutheran Church of the Cross and Paradise Lutheran Church collect food for our pantry and donate regularly. Volunteers pick up food from Wa-Wa which they bring back to the church and freeze until Friday mornings. We even have members who drive to Surf Style on Clearwater Beach (even during Spring Break) every Thursday afternoon for donations. Volunteers also pick up food donations from a couple of Panera Bread stores on Thursday evenings and gather early on Friday mornings to cut bread and wrap up pastries and such….which winds up being an amazing opportunity for fellowship. We have our ever so dependable pantry shoppers who are always looking for the most bang for our buck. We offer food and personal care items such as soap, shampoo, combs, razors, and detergent pods (which we label to insure they are not mistaken as candy by children). In the winter we have blankets and coats that we pull from our Thrift Store to hand out. In the summer we pass out bottles of water. We ask that participants come every other week unless they are in desperate need and then they can come weekly. All we ask is that they write down their name so that we can keep count of how many we are actually serving. We offer prayer cards for participants to write down their prayer requests which we then include in our intercessory prayers during our weekly worship. Our volunteers get to know the participants by name. It is so uplifting to visit the Pantry in action on any given Friday morning and witness the ministry taking place in our Lord’s name.